Proper belt sizing is crucial to the fit and function of our belts. There are 3 very simple ways shown below to provide us an accurate number for your MEASURED size... for men, approximate pant sizes (vanity sizes) are listed on the order forms for each belt style. Not sure what size to order? CONTACT US to discuss. Wearing pants that you commonly wear while carrying, use a tailor's tape (or a small tape measure) and thread it through your open belt loops. Place your pants at the level on your hips that you like to wear them and pull the tape SNUG... not tight, not loose. Make note of your measurement and use that to order. If your available measurement tools are too large for your belt loops... have a pencil, pen, marker, etc. in hand... and use a piece of rope or similar type of object and follow the instructions above to pull the rope SNUG... hold the ends together with one hand and mark where the end meets the body of the rope. Remove the rope from your pants and place on a flat surface. Use your measuring device to obtain your measurement. Make note of your measurement and use that to order. Almost everyone has a favorite belt that has been around a while with a "favorite" hole that we use most often... Am I right? 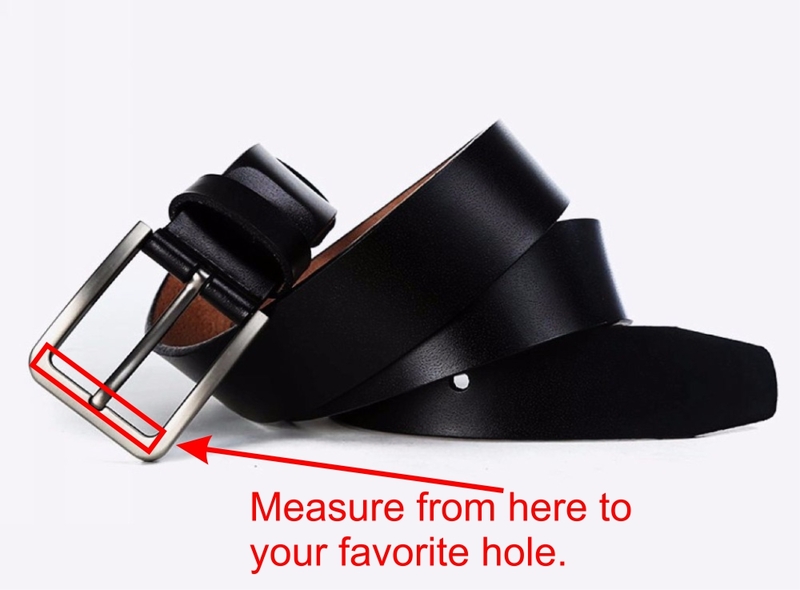 So, using the diagram below, lay your belt flat and outstretched on a flat surface... measure from the location indicated below to the hole at the other end that you use most often...Make note of your measurement and use that to order. Note: Here in the USA, pant sizes are typically about 3"-4" smaller than the actual measured waist size. A male who comfortably wears a pair of jeans at size 36", will measure out around 39"-40" using the methods described above. Please verify your actual measurement before ordering.... heck, use a few of these options and crosscheck them against one another. All of our belt offerings are designed with about 4-5 inches of adjustability depending on the belt style chosen. With an accurate measurement of your waist size as outlined above, your belt should arrive with about 2" to 2.5" of adjustment in each direction. 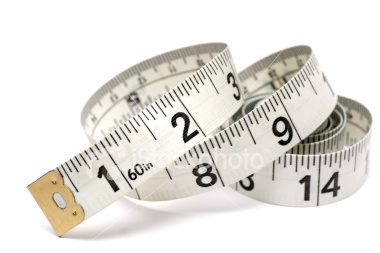 We have tested our formulas over many, many belts in a wide variety of sizes, so we feel very, very confident that you will be pleased with your belt size fit IF we receive an order with an accurate measurement. If you have any questions or concerns, please feel free to contact us to discuss your sizing.